Billy Corgan has unveiled the music video for the second single from his upcoming solo album—Ogilala—the measured, somber ballad, "The Spaniards." 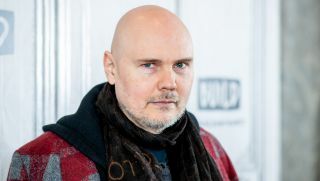 Smashing Pumpkins frontman Billy Corgan—now going under his full name, William Patrick Corgan—has announced a new solo album,Ogilala, and shared a new song called "Aeronaut." Every great rock song has a great riff, be it a single-note melody or a chordal-based sequence, and that's probably what makes it a great song. Railhammer has introduced its newBilly Corgan signature pickup.